To what extent can a machine know the inner workings of a person’s mind, even theoretically? 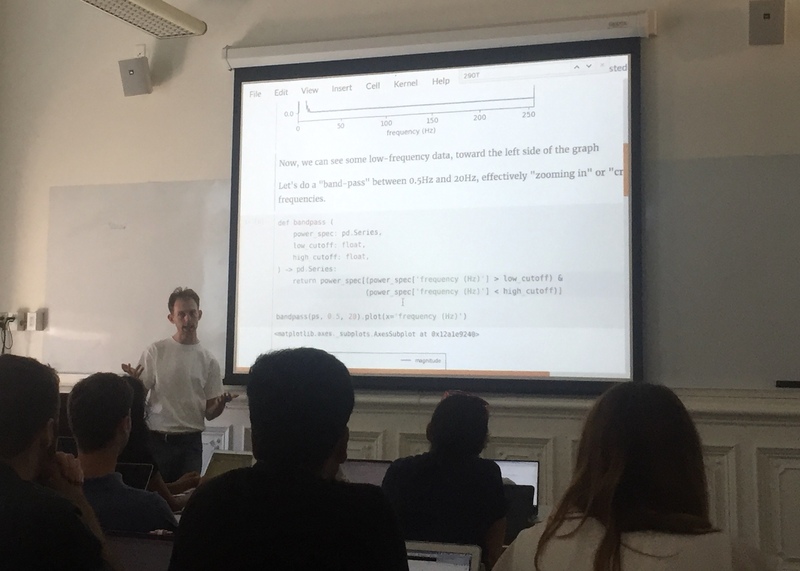 This course explored this question through a mixture of hands-on machine learning and critical discussions on theory. Students practiced machine learning techniques on a provided corpus of data to produce a working brain-computer interface. Simultaneously, students engaged critically with recent research in ubiquitous sensing technologies, and the discourse around them, tracing ideas to their origins in cognitive science.